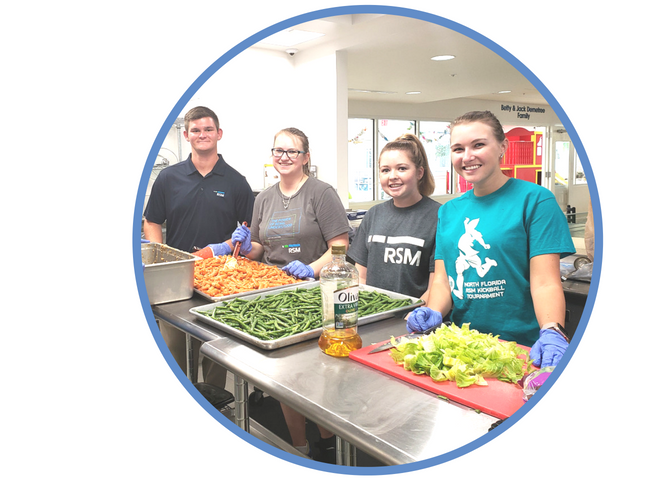 Volunteers are key to our success at Ronald McDonald House Charities of Jacksonville. 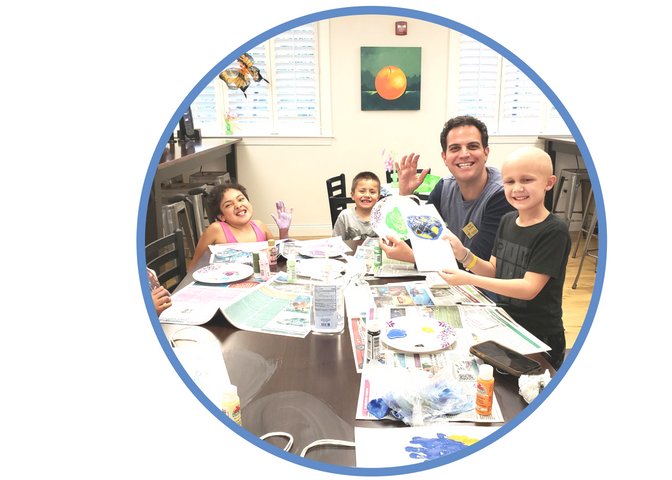 Volunteer opportunities include assisting families and staff at the House, caring for families in the Ronald McDonald Family Room at Wolfson Children’s Hospital and joining us at our annual special events. If you are interested in joining us, please read the information below to determine which volunteer area is a good fit for your group or for you as an individual. 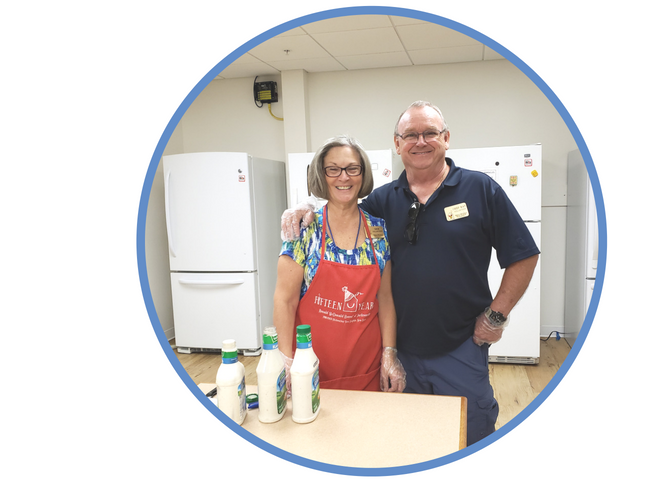 If you have questions about our volunteer opportunities, please contact Volunteer Outreach Manager, Erika Hatch at ehatch@rmhcjax.org or call 904-807-4663 ext. 670. Before completing a volunteer application, please review the volunteer opportunities available with Ronald McDonald House Charities of Jacksonville. Volunteers should be age 16 or older. Volunteers age 13 – 15 may volunteer with a parent or guardian who is also volunteering. Children under the age of 13 are not permitted in the House due to the compromised immunity systems of the children who reside in our House. All volunteers must pass a background check and must also attend a volunteer orientation as well. We ask our individual volunteers to make a one year commitment to volunteer. Ronald McDonald House is located on the 3rd floor of Wolfson Children’s Hospital. Volunteers offer snacks, coffee, support and a listening ear. These dedicated volunteers also help answer questions families may have such as local information, hospital contacts or directions. Family Room volunteers must complete both the RMHC of Jacksonville and Wolfson Children’s Hospital volunteer applications and orientations. Wolfson Children’s Hospital also requires a TB test and flu shot to volunteer. Family Room volunteers must be 18 or older. Learn more here. Kidzone is a unique space where children age five and older have opportunities to Explore, Learn and Play. 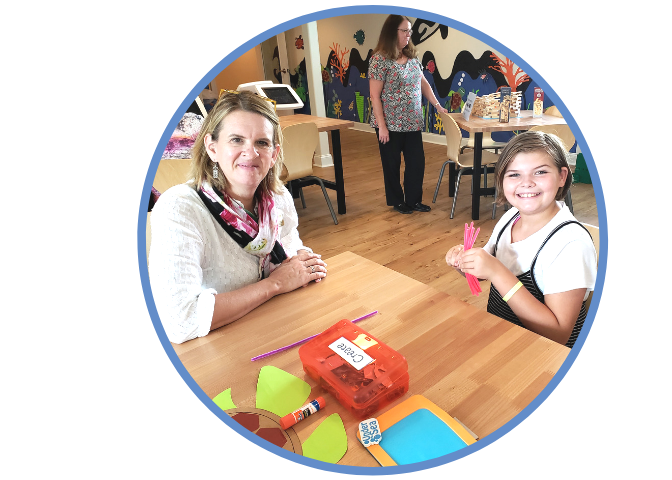 Volunteers who enjoy working with children in a fun, and interactive learning space are invited to join our extraordinary group of Kidzone volunteers. Learn more about Kidzone here. 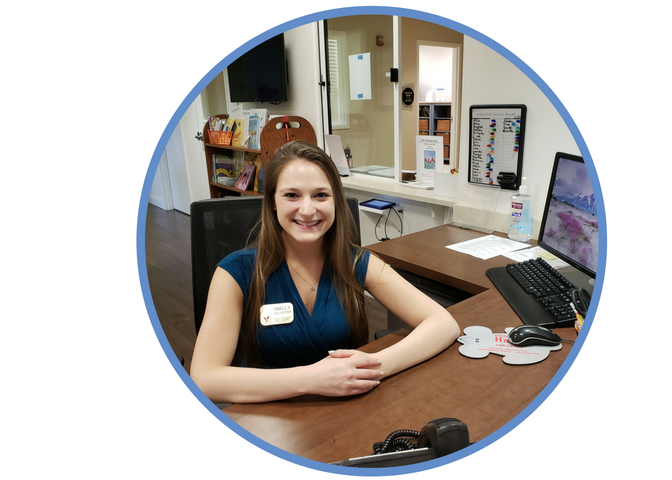 Our Front Desk volunteers greet families and guests, help answer the phones and also help families with their needs while they are staying in the House. House Warmers fill a very important role by keeping the kitchen, common areas and Play Room clean, organized and sanitized. House Warmers also provide a welcome environment for our families when they return home from appointments, procedures and hospital visits. 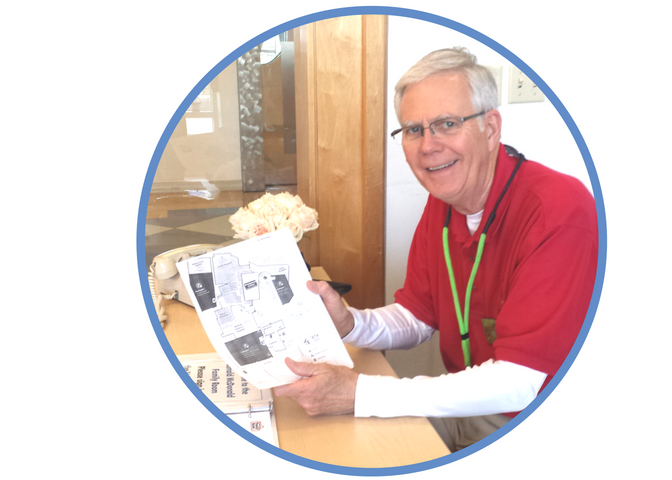 Our Special Programs volunteers bring different activities to the House. Some provide an art activity or games, others do karaoke, story time or bake cookies. It’s a chance to be creative and provide a program for the families and children to enjoy. Gather your group today, plan a meal then come to our House to prepare and serve your meal to our families. This volunteer activity is popular among corporate groups, clubs and organizations. Meal Makers can be a group of up to 8 individuals, ages 13 and older. Teens must be accompanied by an adult. When preparing a weeknight dinner, groups should plan a meal for 75 people. On weekends, groups should plan a meal for approximately 50 people. For more information on Meal Makers, click here. 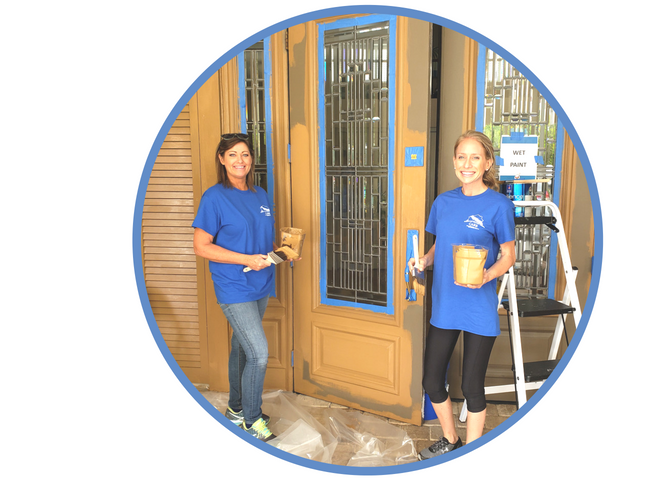 Volunteer work groups help with a variety of projects around the House, from cleaning baseboards and shutters to weeding the courtyard or washing windows. We rely on donations from the community to provide much needed items for our families. 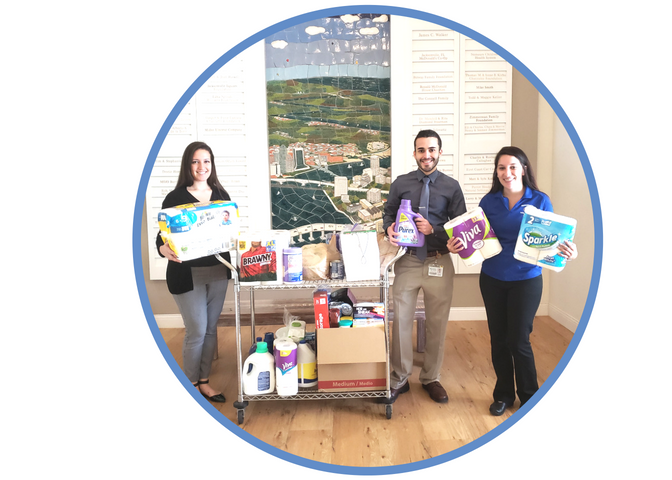 We are always in need of items like laundry detergent, bottled water, snacks and paper towels throughout the year. View our Wish List items here. Start a Pop Tab collection drive and donate the tabs to our House! Pop Tabs are then weighed at a location collection center and our House receives funds from every pound of Pop Tabs. Those funds help support our House and our mission. Learn more about collecting Pop Tabs here. 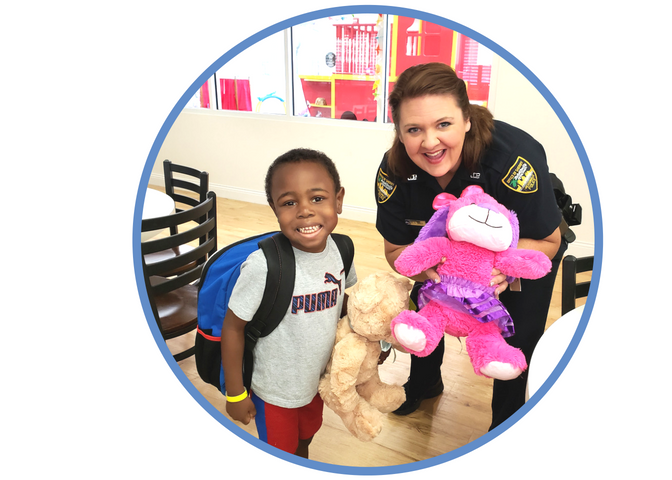 Teddy bears make great friends to the children staying at Ronald McDonald House. We welcome each child, whether they are the patient or sibling, with a new stuffed friend to hug and love. Stuffed animals must be new and have the following information on the label/package: “Complies with ASTM (American Society for Testing Materials) F963”. Stuffed animals cannot have buttons, plastic parts of any kind, zippers, rhinestones, metal or vinyl snaps, closures or appliqués. Are you a student needing hours of volunteer service to meet a school requirement? If yes, how many hours? Do you commit to volunteer with Ronald McDonald House Charities of Jacksonville for at least 1 year? Are you age 16 or older? Are you familiar with the Ronald McDonald House? If yes, please explain. Why are you interested in becoming a volunteer at the Ronald McDonald House? What talents, experience, skills, knowledge, etc. 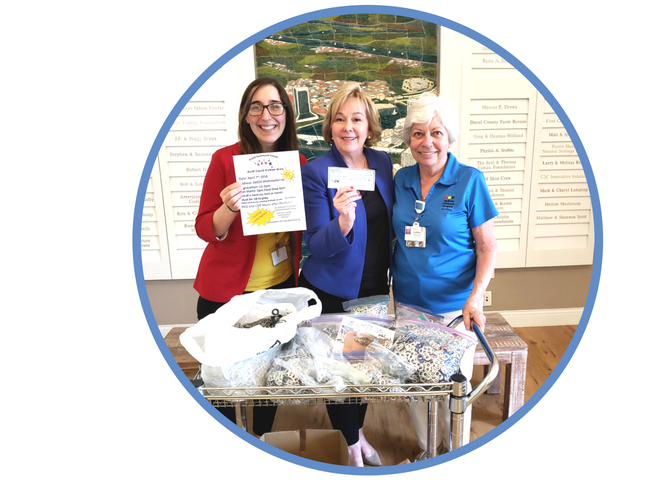 do you feel you can bring to the Ronald McDonald House? *When are you available to volunteer? Please list day and times. By submitting this form you are applying for active membership as a Ronald McDonald House Volunteer. You agree to abide by all rules and regulations governing this organization. You agree to submit to a background check, attend orientation and training before being assigned to service.